RickK had the most liked content! Did they get this ruling wrong...NOPE. 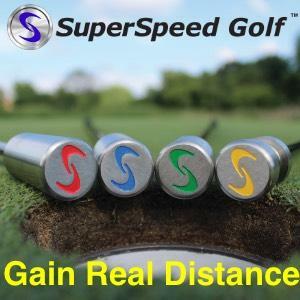 I think they got a lot of stuff wrong with the rules changes for 2019 but by leaving the ruling about distance measuring devices and not allowing for elevation...they got that right. Not sure villain is the word but I cannot/will not root for Zach Johnson. Have never liked the guy. I play out of 2 different clubs and also play in 2 tournament leagues. It is a bit different in the 2 tournament leagues. Those have 1st flight thru 3rd or 1st thru 6th. In those, every flight gets whatever handicap they play 2. 1st flight in one of those leagues has a +2 handicap player. At the 2 clubs I play out of, the MGA/SMGA at those has a Championship Flight and then usually 4 other flights. Players in the Championship flight (generally +handicappers thru 3 or 4 handicappers play scratch. Then the other flights get handicap based upon their handicap index. Not in my pocket but either in my golf bag or in the cart. I do not use the phone for yardage information but have used it to call 911 for someone in the group we thought was having a heart attack. That is interesting. Back in the 90s, my wife and I went to the Houston Open Pro-Am. We followed Fred around for several holes. We were standing beside 17 tee box when he came up. They had to wait on group ahead. Talked to him for a minute or two and my wife asked him if she could get a picture with him. He obliged and was about as nice as he could be. Probably the nicest pro I ever had the pleasure of meeting was Arnold Palmer. I was a marshal 2 days in a row at a tournament. Talked with him on the tee box the first day. 2nd day, he remember who I was, said hi again, and brought up the discussion he and I had had the day before. He was a true gentleman. Interesting enough, probably one of the rudest pros I witnessed was Payne Stewart...but this was early on in his career particularly during the Pro-Ams. Apparently someone had a chat with him along the way and he had a complete turn around long before his death. Correct. As I stated, the whole point of contention was the fence. The fact that you do not get relief from boundary objects, one opinion was that he did not get relief from the cart path. My understanding was that first you find NPR from the cart path and then and only then does the fence come into play. Luckily for the player, NPR took the fence out of play for him. here is a pic from Google Earth reflecting the coordinates. The fence is to the left of the bunkers under the trees which overhang. I believe we got the ruling right. We determined NPR was farther back but on green side of the cart path to get complete relief from standing on the cart path. There was a discussion that he was not entitled to relief because of the fence from his original lie. My understanding was that since his ball was on the cart path, he was entitled to relief. Once it was determined where the closest point was that he could get full relief from the cart path with the ball in bounds...that is when the fence comes into play. If it was in his backswing...then he had to decide what to do. In this case, NPR was on green side of the cart path...fortunately for him. Thanks for the input...greatly appreciated. Would appreciate some help with this situation. Player hits ball over the green and ball ends up on cart path. The obvious spot to drop would be on side of cart path keeping the cart path between the player and the green. The problem that comes into play is that full relief from path would put the player's drop OB. I would assume that player would need to find NPR where he can drop the ball and have full relief from the cart path and the ball not be dropped OB. Now comes the rub....there is a boundary fence down the length of the cart path behind the green. Can I "assume" that he if he can find relief no closer to the hole where he has full relief from the cart path and then the fence comes into play in his back swing that he would either have to play the ball or now take an unplayable lie? This discussion came up because the fence was actually in play from where his ball lay on the cart path. My take was that he was entitled to full relief from the path but he could not go backwards and drop (fence or no fence because his drop would have been OB). I won First Flight in the Club Championship at the club I used to belong to and never hit a wood for 3 days. I used 2iron off most holes where you would normally use driver. Course played at 6450 yards. Now...that said...that was 28 years ago and my distance ability was a heck of a lot better back then. The reason I put the woods away, I had just come from a 4 day tournament the week before and probably had the worst hook going of my life. My irons had been pretty consistent with a slight draw for the longer irons and I knew I could at least compete by keeping the ball in play. Would I attempt that feat today on the course I play now where the senior tees are a shade over 6000 yards. Not a chance at 72 years of age. Beside, the first iron in my bag these days is a 7 irons. Relationship Issues Messing with Game? I listened to a lot of PGA Tour Radio leading up to the Ryder Cup this week. Pretty much every program had their own version of what the pairings should look like. Almost all of them were the same. Then Furyk comes out with his pairings and everyone seemed baffled by the pairings he picked. Of course, if his pairings had paid off...he would look like a hero. If not, he would look like a goat. Well, goat it is. The Tiger/BDC pairing was just as bad. Granted Tiger did not play spectacularly but it was pretty hard to make up ground for Dechambeau's mistakes. On really humid mornings here in SE Texas, I quite often play with my left hand rain glove instead of my normal glove. The Titleist rain gloves of today are better than they were a few years back. Previously, I felt they needed to be wet or damp but the new ones I got (2018 version), they work just fine without being wet. I have had my putting woes for a number of years. Pretty solid player for the most part but just never seemed to make putts that I felt I should make. I have had people tell me that I take the putter back outside, I loop it, I don't take it back on line, etc. I have struggled with trying to get this right. I could concentrate on watching my stroke with the putter and they were right...I was all over the place. Now...have I turned this around completely...not by any stroke of the imagination but I have definitely improved. I found that most of my problem was my stance. My stance promoted me taking the putter back to the outside and the loop it or sort of cut across the line. I got 2 yardsticks and put them down with about a putter head and a half width apart and then tried different address positions and stances until I found one that promoted a pretty clean back and forth stroke with no loop or taking it outside. I had been crouched too much, my hands were too low at address also. After all that, it comes down to being able to read the break and speed. Then, putt with some confidence. If I misread a putt but hit it on the line I was looking and speed i was expecting...then all is not completely lost. I also found that I was consistently low of the hole on breaking putts. Had to work on reading the break better and giving the ball a chance to go in. As I was told...there is more of the cup for the ball to fall into if the putt is on the high side. But on the low side of the hole, you have reduced the area of the cup the ball can fall into significantly. So, I would suggest you have someone watch your stroke or even film your putting stroke and see where the putter head is going. May not make any difference at all for you but I can tell you...it has saved me several strokes on the greens pretty much every round. Last week I had a round with 5 birdies and that had been almost unheard of for me in recent years.